Many people get lead to delusions by concerning about food before they travel to Mongolia. Some people think that people in Mongolia eat only meat and they do not have any vegetable in their food selection. But I will reveal a secret to you now that Mongolia has no problem with meals. 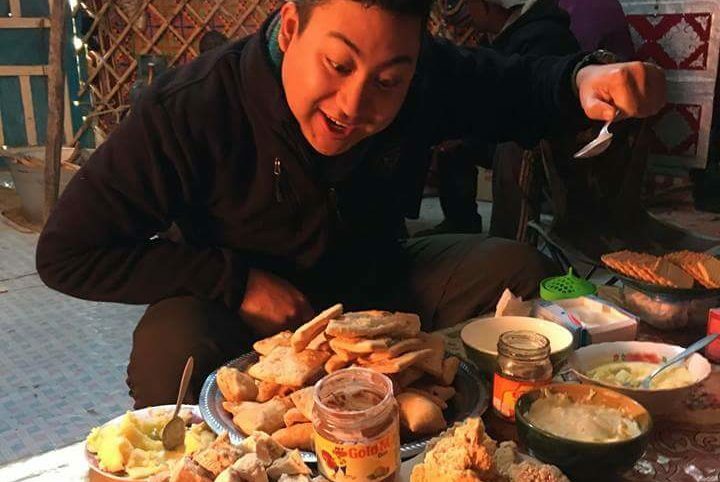 So you can go travel with no worries as you can always find your favorite type of meals even here in Mongolia. Traveling is not just seeing the world. It is also meeting people, learn new life, new tradition and try new food. Trying local food with local people is the largest and important part of the tour that makes it funny. Specially, when you are traveling in Mongolia you must be ready for any unexpected situations as Mongolia is a country where people come to look for a new and unforgettable adventure. Yes, there are people who are living in the countryside as nomads normally 10-20% of them now eat only meat, milk products and flour only. But rest of nomads and people who are living in the town or in the cities have many vegetables such as potato, carrots, onions, cabbage, tomato etc. I can’t say that they have all type of vegetarian products but they have enough for anyone who are discovering Mongolia like you. Me as an owner of local travel agency have been working with the people from all over the world and always been praised by our customers. They say that they love our food. All of our cook or our chefs are learnt cooking mostly on the camping facilities so to be honest it may not be compared with 5 star restaurants in the world quality but it has different taste and different style that you may find it interesting to see and try. Many vegetarian people travel to Mongolia with their own food. But if you are in the town as I have mentioned above there are no problem as in many restaurants and places you can always find vegetarian meals. If you are in the capital city in Ulaanbaatar there are vegetarian restaurant “Loving hut”. “Loving hut” is only in Ulaanbaatar city but you can’t find it in any other provinces of Mongolia. 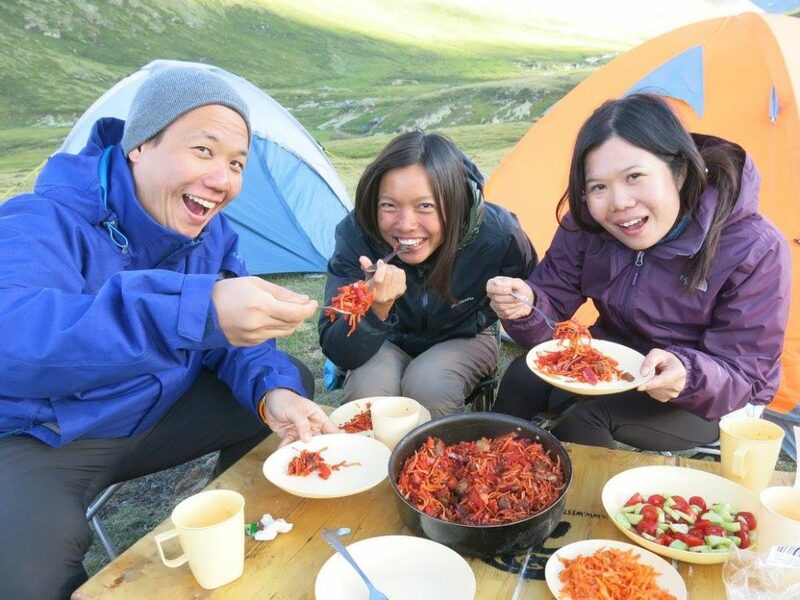 If you choose local company as your tour agency they can prefer you special Mongolian local meals by converting into vegetarian meals or food. Even when you are camping your chef can make you the best vegetarian meals even with some more selections. Many of vegetarians get surprised by Mongolian vegetarian meals that preferred by our local agency here. Many of our customers and travelers like our meals and hardly say goodbye at the end of the tour. There are many really delicious meals in Mongolia. I would very recommend you to try Mongolian grilling at least ones while you are in Mongolia. Grilling is ancient way of cooking for Mongolians. It is not just in Mongolia but it is really popular in all over the world too. Some of Mongolian typical everyday family meals are similar to other Asian countries such as Buuz (dumplings), Mantuu etc. Meat in Mongolia is most organic. Mongolia is reach with meat compare with any other countries in the world. Only 3 million people in Mongolia but the number of animals are around 60 million. Mongolian animals are not get fed by people inside the fences. Animals in Mongolia go and eat on the mountain by themselves and collect real vitamins, minerals on their body right from the steppes. No chemical. Is it safe in Mongolia? Please do not hesitate to ask if you will have any questions about Mongolia or about tours in Mongolia, so we will be very happy to help!